Above: Dactylorhiza praetermissa in Kenfig NatureReserve in South Wales, in late spring. Notoriously difficult to identify with confidence, this orchid is widespread within its range and it can form large colonies when growing in ideal habitats. 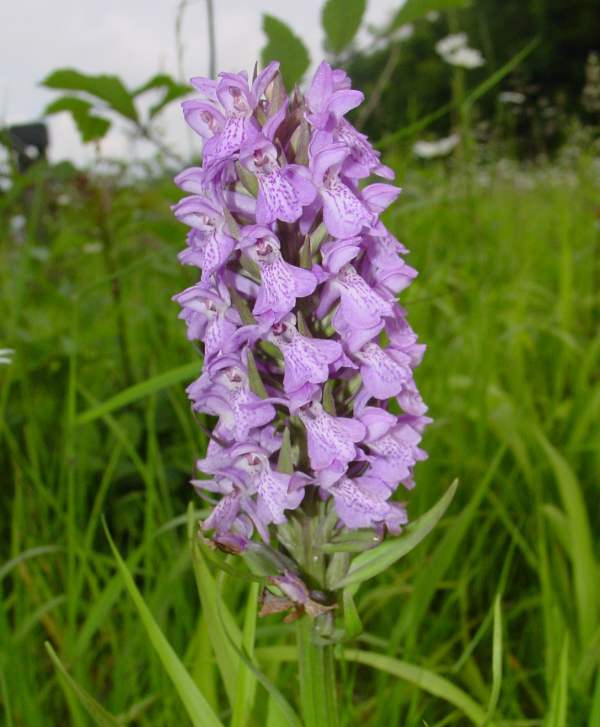 The Southern Marsh-orchid typically grows to between 30and 50cm in height, although taller specimens up to 70 cmcan occur. The leaves are generally unmarked, and the flowers vary considerably in colour from dark pink to a much paler pink; the markings on the lips of the flowers also vary considerably. Difficult to distinguish from, among others, the NorthernMarsh-orchid Dactylorhiza purpurella, the lip of the Southern Marsh-orchid isgently rounded and slightly folded back; its flowers are generally larger, and the lip of the Northern Marsh-orchid ismore angular. Southern Marsh-orchid is also confused with Early Marsh-orchid Dactylorhiza incarnata and they frequently occur in the same habitats. To add to the confusion Southern Marsh-orchid also hybridises with other Dactylorizha species, and hybrids between Dactylorhiza praetermissa and Dactylorizha fuchsii (Common Spotted-orchid) are most often revealed by their faintly spotted leaves. 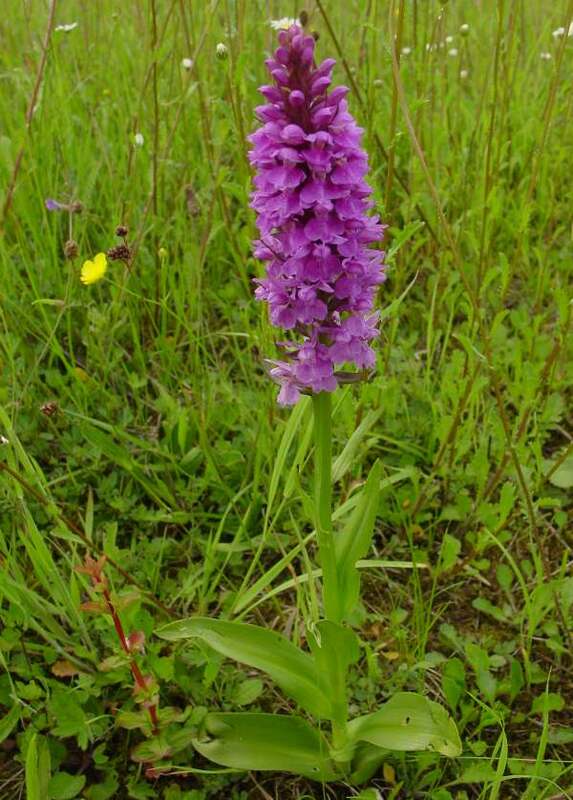 Southern Marsh-orchid is widely distributed in the southern half of the UK. In mainland Europe is it confined to the more northern countries with an Atlantic coastline. Southern Marsh-orchid is a chalk-loving species and grows in damp alkaline meadows and in sand dune slacks in full sunshine. Although often thought of as a coastal species, Southern Marsh-orchid does grow inland too and can be found in damp meadows and on river banks thoughout its range. In Wales, for instance, Southern Marsh-orchid is a special feature of the Elan Valley Estate, where it grows in riverside grassland and other wet meadows. Southern Marsh-orchids flower from late May until the end of July.